Love making noodles, soups, salads or other snacks? You will love a noodle bowl. Very handy and functional, noodle bowls are perfect for many things. Looking for a large, deep and durable noodle bowl? The following five bowls make a great choice. Order one to make a big bowl of noodles without spills/mess. Looking for a microwave bowl for noddle or soup? 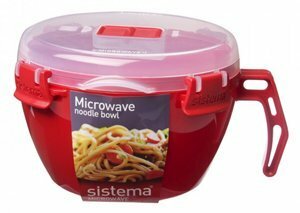 The Sistema Microwave Noodle Bowl makes a great choice. Perfect for 2 minute noodles for kids after school, commuting to work, or a quick snack anytime, this bowl also works great to heat your pastas, soups, stews or oatmeal. The clip-on lids do not leak so you can carry them wherever. Its good size handle makes it easier to transport and hold. Measures 3.8″ x 6.8″ x 6.1″. Well made, functional and beautiful, this ceramic bowl is the perfect size for everything from noodles to cereal. It allows you to conveniently put your chopsticks inside. 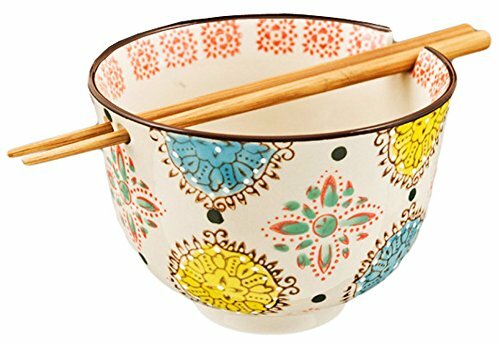 This commercial quality ramen udong noodle soup cereal bowl with chopsticks also makes a great gift for any noddle lover .Dishwasher and microwave safe for added convenience. Buy this adorable bowl, you won’t be disappointed. Measures 5.25″D x 3.75″H. 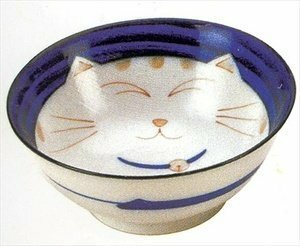 Make lunch fun with this Smiling Blue Cat Porcelain Noodle Bowl. This Japanese porcelain noodle bowl with Maneki Neko design is beautifully finished in a glaze, making it a great gift for anyone who loves noddles. Also perfect for soup, salad, cereal and more. The bowl is cute with the smiling cat face looking at you. Forget plastic noodle bowls and get this well made porcelain bowl. Measures 7-1/4in Dia. x 3 in H.
Your research for reasonably priced multi-purpose serving bowl ends here. 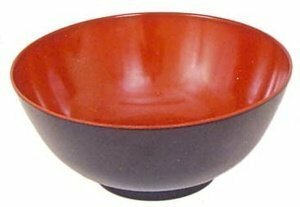 This Commercial Quality Black/Red Melamine Ramen Noodle Soup Bowl is perfect for many things, soups, noddles, snacks, meals and much more. Easy to clean and handle, this melamine serving bowl is dishwasher safe. Not suitable for microwave. You will love this large and good looking noodle bowel. Measures 8in Dia. 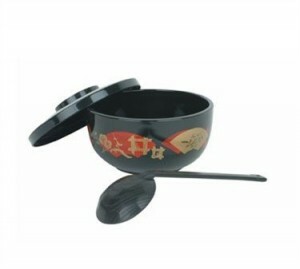 X 3.5in H.
Make any number of Asian soups, rice dishes and curries with the Thunder Group PLNB002 Japanese Noodle Bowl. 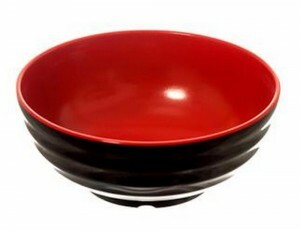 Made of durable plastic, this Japanese-themed bowl is built to handle the rigors of a busy kitchen. It comes with a lid that is nice for carrying around your soup without it getting cold and helps keep dust falling into your food. Also comes with ladle, making it a great presentation set.